How to Find out What Motherboard Do I Have Windows 10, 8, 7? It is not until you are asked to enter the motherboard serial number of your PC that you find the motherboard model is not available for you. You have no motherboard information about your own PC. What is Motherboard and what Does it Do? Why Do You Want to Tell What Motherboard You Have? How Do I Find Out My Motherboard on Windows 10? Then you begin to ask “What motherboard do I have?” “Who made my motherboard?”. Alternatively, computer’s motherboard can also be called baseboard or main circuit board. Move on to dive into the questions about your motherboard, including why you want to see what your motherboard brand and number are in computer and how to check them on Windows 10. Before checking what motherboard you are using on Windows 10, there is much need for you to learn what the motherboard is on a PC. Only in this condition will you understand why you need to find out what the motherboard model and the serial number is on your computer. Motherboard, also known as System board or baseboard or MOBO, MB in short on Windows systems, is to connect all system parts together for your PC, such as CPU, memory, hard drives, and various expansions directly by itself or by cables. As you can see, motherboard is the printed circuit board designed for the communication among computer hardware, like hard drives, RAM, and CPU, etc. In this way, it is no wonder why it is called motherboard on Windows systems. Due to its essential role in your computer, it can be regarded as “mother” for other parts connected. Here with regard to boards of tablets or some other small devices, people often call them as Logic Boards, you would better not mistake the motherboard on the computer and the Logic board on tablets. And it is believed that motherboard differs from each other in design, case, form factor (such as AT), and compatibility, so it’s best for you to figure out what the baseboard you really have in your computer. Below are the most frequent circumstances where you may need to identify the computer motherboard model and serial number on Windows 10. 1. 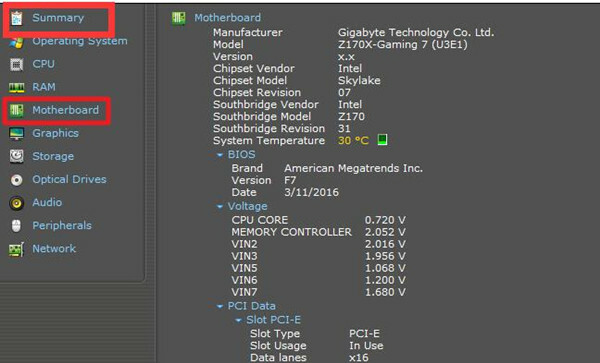 To update your motherboard driver for Windows 10, like Gigabyte motherboard driver. 3. To replace new hardware, such as the memory slots. 4. To check the condition of your motherboard. Possibly, you will be requested to input your motherboard serial number in some other situations as well. In this way, who not try to figure out what the motherboard model number is for your PC. 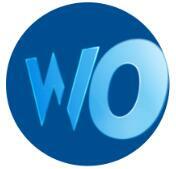 To check your laptop motherboard or that of the Desktop, there are several different methods open to you. By checking hardware or software settings, you can find it easy to see the motherboard brand and model number on Windows 10. Here you need to pay attention to that you are to check the original motherboard. If your system motherboard has been replaced, it is not suggested to try the following ways to identify motherboard model with the help of the system tools as you can’t find out the real motherboard serial number in the system if you are using a non-system motherboard. Naturally, on the occasion where you are running the system default motherboard along with your computer, you can first find out the motherboard model, serial number and other motherboard information in the specifications you have got when you bought the PC. Or you can get started to check your motherboard model, serial number, manufacturer, PartNumber, Slotlayout, on Windows 10 by the methods shown below. Command Prompt is the first and most effective way available for you to detect out what motherboard you have on your PC. It can easily help you find out the original computer motherboard on Windows 10. Use Windows Management Instructions Command-line, and you are able to get all the specific information about your motherboard, no matter it is ASUS or Gigabyte some other brands. Of course, it is definitely up to you whether to identify the motherboard model alone or such detailed information about your baseboard on Windows 10 as motherboard serial number, manufacturer, etc. Whatever you really hope to check about the motherboard, just try different command to accomplish it. 1. Type in Command Prompt in the search box and then right click the best-matched result to Run as administrator. 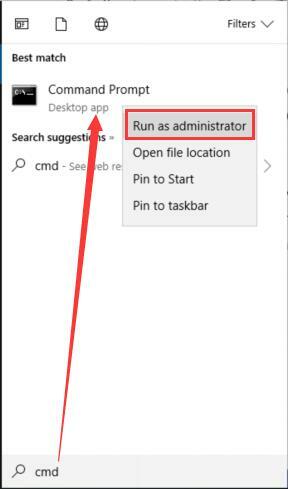 Here it will also work fine even if you have not yet run Command Prompt as administrator. 2. In Command Prompt, copy and paste the command below and then press Enter to check the motherboard model, manufacturer, product, version, and serial number. Here you can see in Command Prompt, the motherboard product is 831C, the serial number is PGPPR018JA07RU. And it is also feasible to run the same command in Windows Powershell in order to get the motherboard model and serial number in the computer. 1. Manufacturer: it implies who made your motherboard, which is often the same with your PC. 2. Product: the product number of your motherboard. 3. SerialNumber: the specific serial number of your computer’s motherboard. 4. Version: the version number for the motherboard. On this occasion, either you feel like to replace new hardware requiring the motherboard’s information or to know more about it by searching online, searching HP 831C will get what you want immediately. 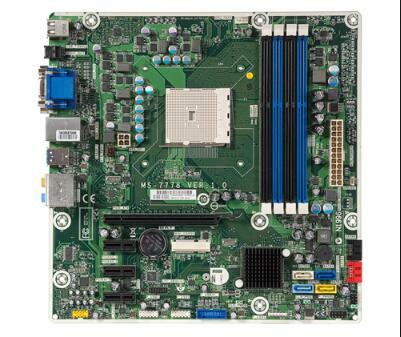 Tips: Why motherboard is unavailable? For some of you, the instant you attempt to find out computer’s motherboard on your PC in command prompt after the command is executed, blank space under your motherboard model and the serial number comes into sight. It literally means that the motherboard you have on Windows 10 is not available for you to identify. The reason for your unavailable motherboard lies in that you have already replaced the original motherboard with a new motherboard. Therefore, Windows management tool failed to help you check your new motherboard elsewhere. Under this circumstance, you can turn to the documents for the new motherboard to identify the motherboard model number. Besides the system tool, it is also useful if you wish to take advantage of tools outside Windows 10, such as CPU-Z and Speccy. Here take Speccy as an example to show you how to easily find out your motherboard’s model number in Windows 10. Speccy is a free tool dedicated to checking the hardware settings and condition on the computer. 1. Download and install Speccy on your PC. 2. Then obviously you will see under Summary, the Motherboard is listed. Now all the motherboard information will be available for you in Speccy, like manufacturer, model, chipset vendor, chipset model. In a word, as for how to find out what motherboard you have on Windows 10, you are capable of either using the Windows inbuilt management tool-Command Prompt or the software from the website. Both two ways will help you identify what motherboard model, the serial number are on your PC so as to update the chipset drivers or to replace hardware.